Either you are tempted or already decided to move to Vientiane, our complete relocation guide is made for you! 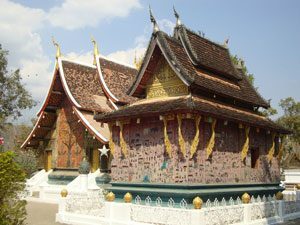 Find out all the practical aspects of expatriating yourself in the capital of Laos: relocation, work, visas, transportation, education and so on. Vientiane is a small yet exceedingly charming city. It has been the capital city of Laos since the French rule in the 1860s. You will be amazed by the fusion of oriental and occidental architectural influences. Today, Vientiane is home to about 783,000 local and foreign residents. Similar to the rest of Southeast Asia, the climate in the Laotian capital is tropical wet and dry with temperatures somewhat cooler during the dry than the wet season. There are about 86 different languages spoken in Vientiane. The Lao or Laotian is the national language in the country. The Vientiane Lao, which is a Laotian dialect, is widely used in the capital as well as in Bolikhamsai. The cost of living in Vientiane is a bit higher than Neighbouring Thailand, but still significantly low compared to Western destinations. Transportation barely cuts into your budget because the city is very walkable. Your living costs ultimately depend on your lifestyle habits. Vientiane is the country’s economic driver and the top destination for expats. It hosts foreign embassies and consulates, international Organisations including the World Health Organisation and the United Nations. The city is also the centres of international schools and top colleges and universities. Vientiane, the beautiful infusion of oriental culture and French influences, is remembered by many visitors as a bicycle-friendly city. Have a romantic tour pedalling along the riverfront, suburbs, temples and chic cafes. The majestic French architecture adorning Vientiane, complemented by Buddhist temples is a view to behold. One cannot miss the glimmering golden Buddhist stupa, Pha That Luang, located at the heart of the city. It is considered a symbol of Lao nationalism. According to legend, the 3rd century by Ashokan missionaries from India it to protect a piece of Buddha’s breastbone. It was rebuilt as a Khmer temple in the 13th century. The gold-covered Pha That Luang has undergone several reconstructions over the years. The admission fee to this cultural and religious site is for 5,000 kip. You need to rent a long skirt for 5,000 kip to enter the temple. Vientiane has a lot to offer expat workers, foreign students and retirees. It’s also an emerging investment haven for real estate investors.